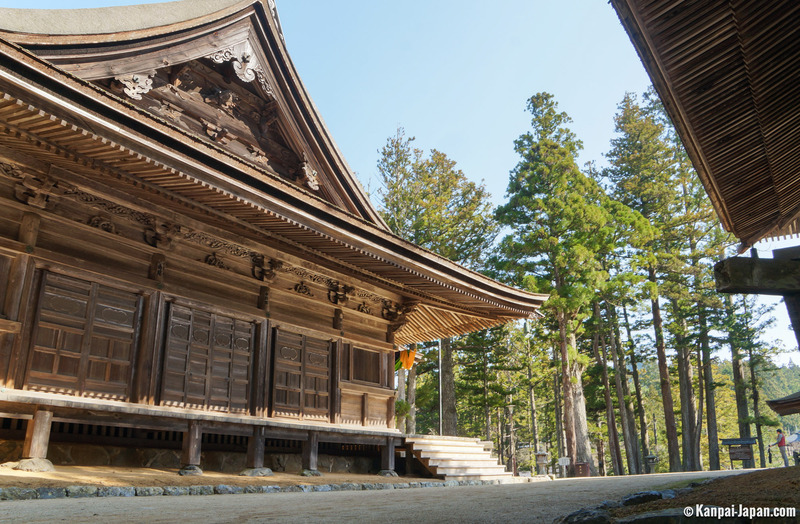 Mount Koya is a sacred mountain located in the Kii peninsula, in the Wakayama prefecture, 100 kilometers south of Osaka. 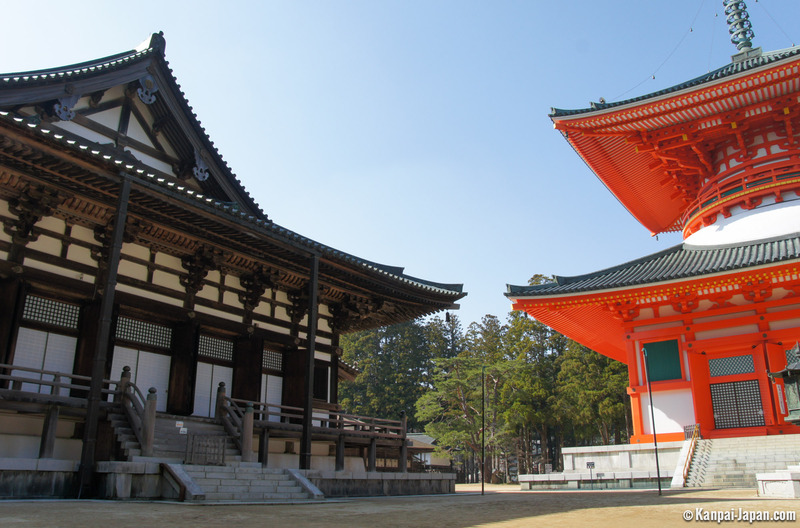 Koya-san is a well-known Buddhist pilgrimage site where travelers come for a religious and/or spiritual retreat in one of the 117 temples of the complex and across the Ryujin Quasi-National Park. 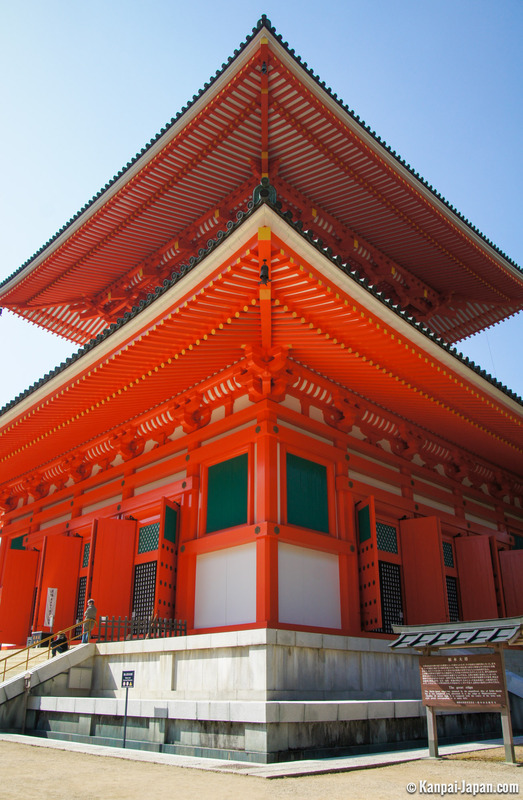 Western tourists in Japan share with almost all of their foreign counterparts this understandable interest, especially for, Tokyo and Kyoto. 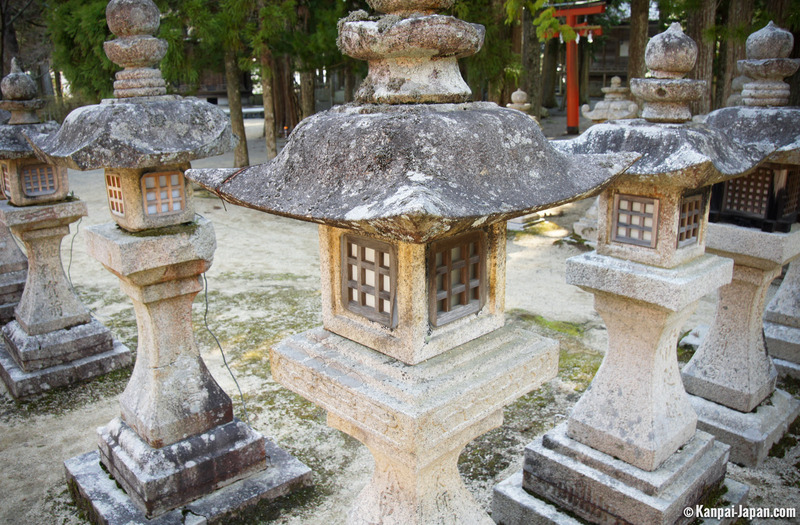 But they often add this sometimes surprising fascination for Mount Koya, probably because of its constant appearance in classical paperback guides. On site, this flow of Western tourists is immediately recognizable by a rare specificity in Japan: the display of signs written and even the broadcast of vocal messages not only in English but also in several other Western languages (with the bonus of grammar and vocabulary mistakes!). 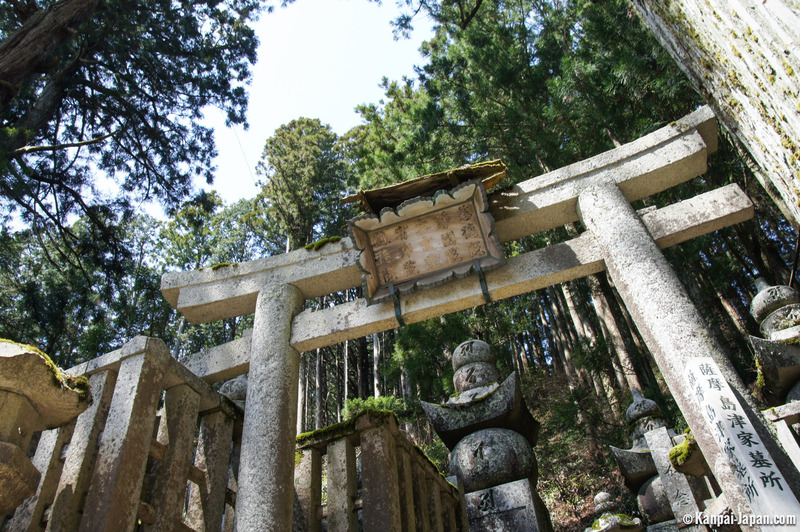 During your travels, if you are looking to find peace and resource yourself far away from your roots, you may have to think about far-away places of Kii mounts, and avoid Koyasan as the main site, or you might be disappointed. 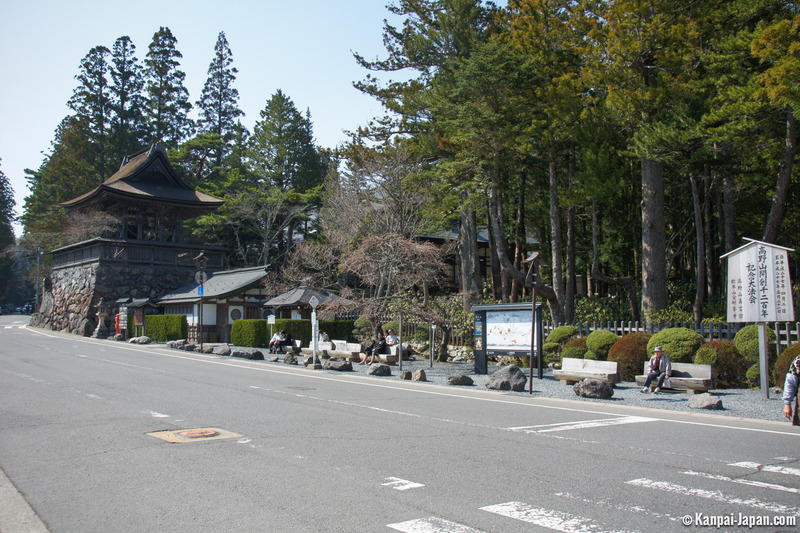 In order to make it convenient, the journey to Koyasan is a well-organized and accessible small trip. 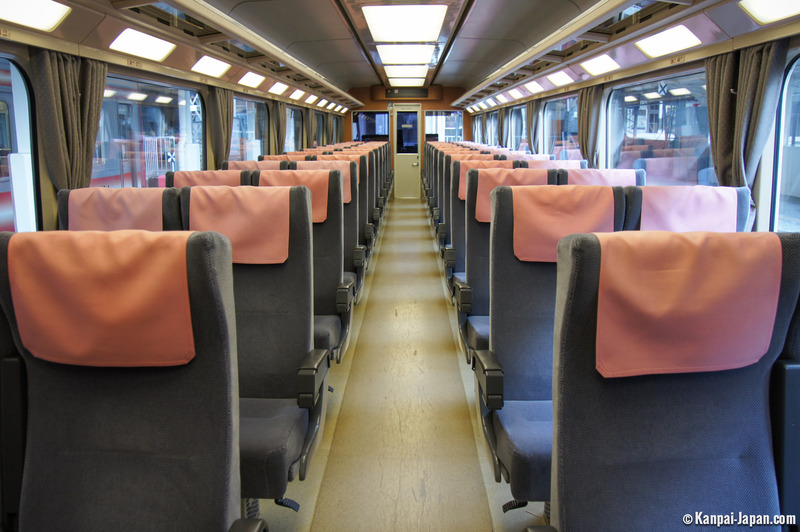 Koya is nested directly south of Osaka, and therefore, the departure site is there. 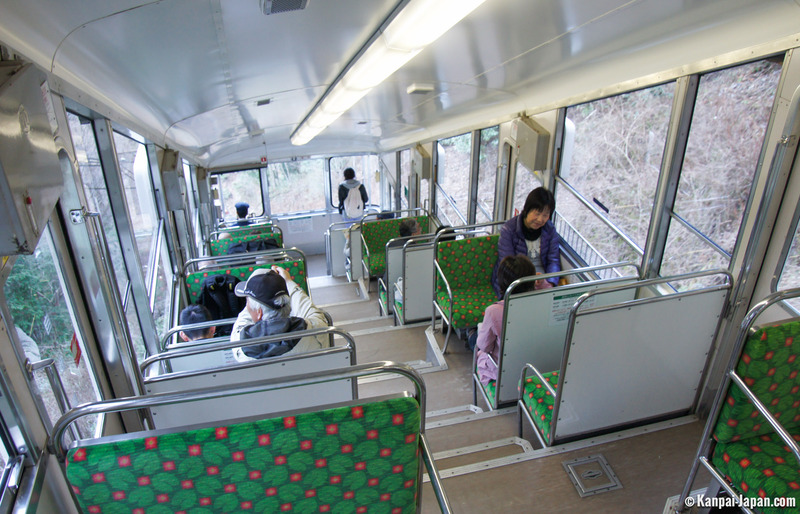 Count on two hours to reach the end of the train, cable car and bus trio. 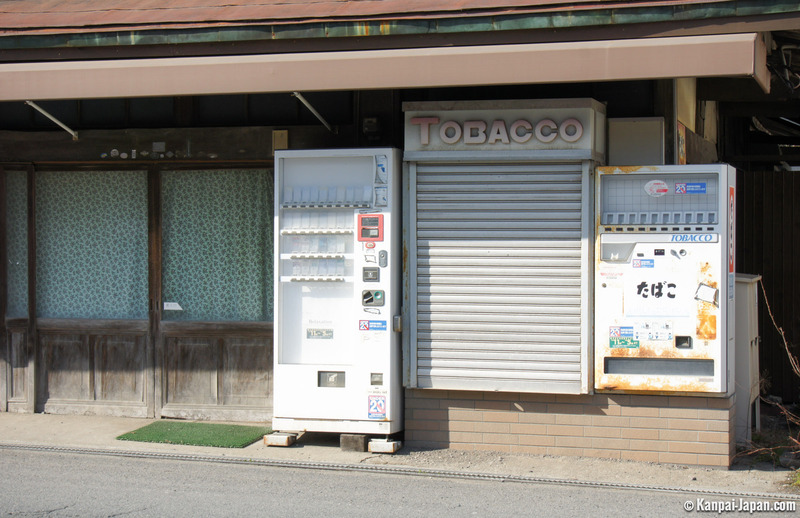 Once at the top of the peak, distances are quite short (the farther points of interests are only separated by a few kilometers), and it is possible to do everything by walking, allowing you to avoid a barely-working bus network. 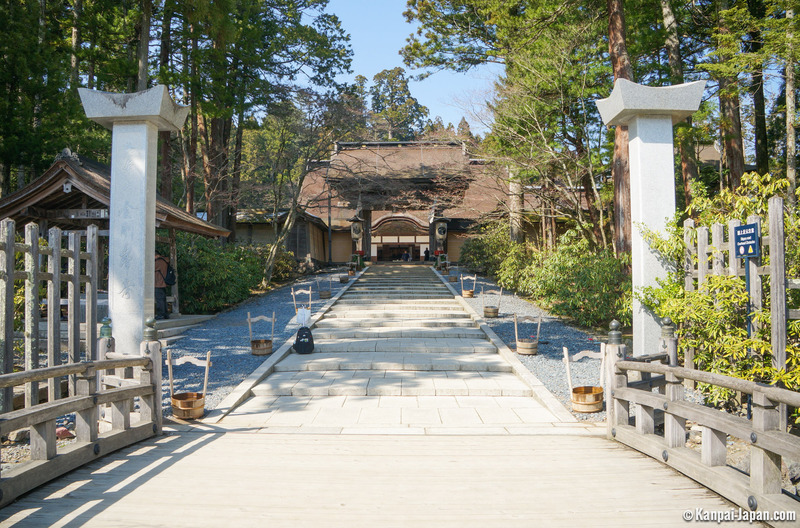 The heart of the visit is the gorgeous walk to Okuno-in, the mausoleum of Kobo Daishi (Kukai), a 9th-century founder of Buddhism as we know it today in Japan. Do not be fooled in your path: if the original, typical path, offers a beautiful walk among the guardian summits of a cemetery that spreads out of sight, the other path is a vast, asphalted road without charm, constantly beaten down by a massive flow of tourist buses. 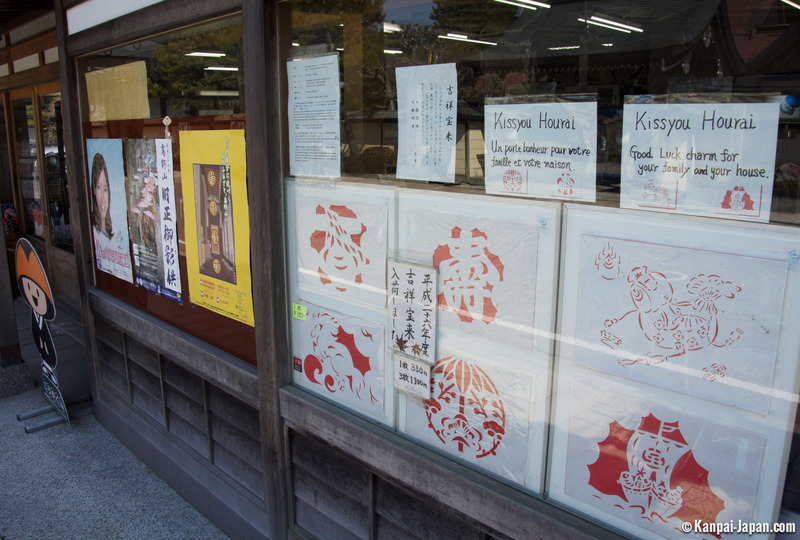 We could have imagined something more authentic for the unofficial starting point of the 88 Shikoku temple pilgrimage. 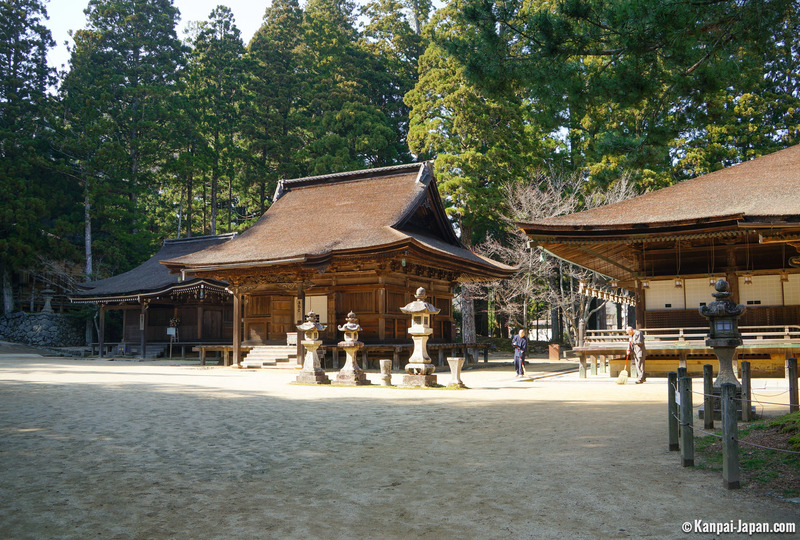 The other main attraction of Koyasan obviously remains Shukubo, an overnight stay in one of Koya-san's hundreds of Buddhist temples. It is absolutely possible to choose not to stay, therefore validating the possibility of enjoying the place in one full day. One can read the positives and negatives about spending a night in a temple: from delighted visitors of this authentic atmosphere, who enjoyed prayers at dawn and vegetarian food, to comments from people disgusted by an expensive experience and finally very (perhaps too much?) money-based visit by monks who consider you nothing more than a part of the rest of the flow of Western tourists they see all year long, and who end up selling souvenir products! 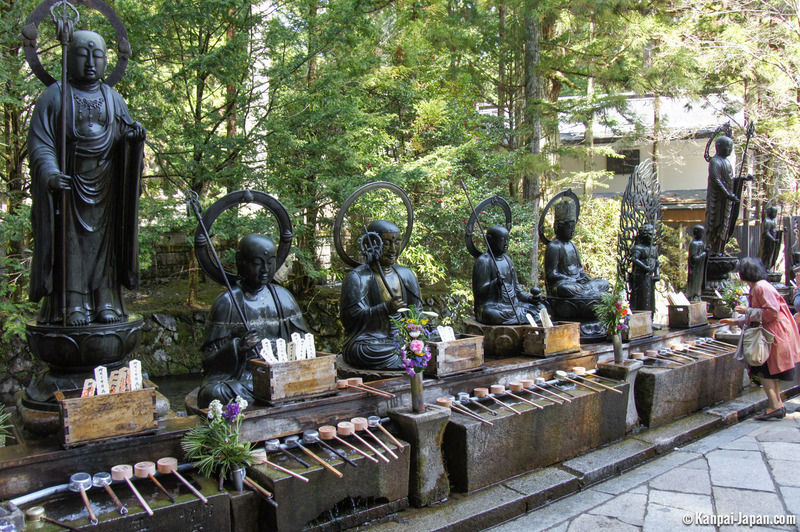 The rest of the visit in Koya-san consists of several pretty points of interest, among which are Garan, Kongobu-ji and Daimon. Enough to spend a very good time there despite the massive groups of visitors, especially during the touristy season in spring and summer, which may prevent you from finding a calm and quiet time. As a good alternative, hiking in the Kii Mountains offers a more mystical and less-touristy approach when you are planning and the weather allows it. As often, the journey is worth more than the destination in this case. 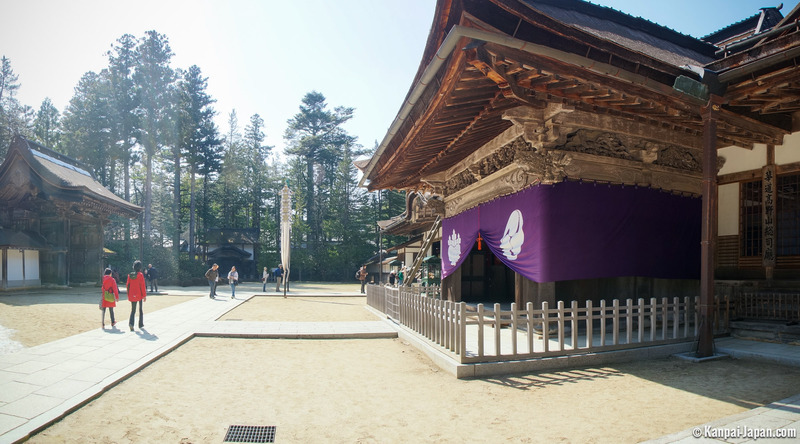 In 2015 Koyasan celebrated its 1200 years old!